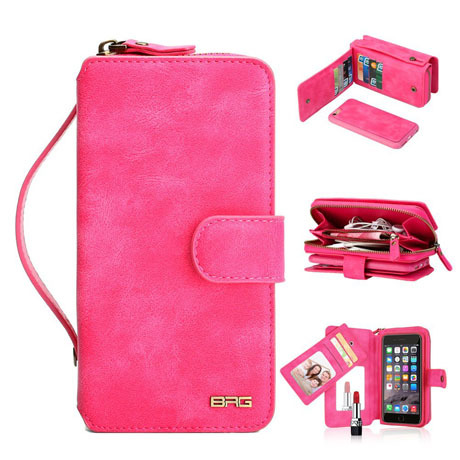 Free Shipping, Buy BRG iPhone 6S/6 Wallet Case with Mirror Magnetic Detachable 2 in 1 Zipper Handbag at Casemecase.com. 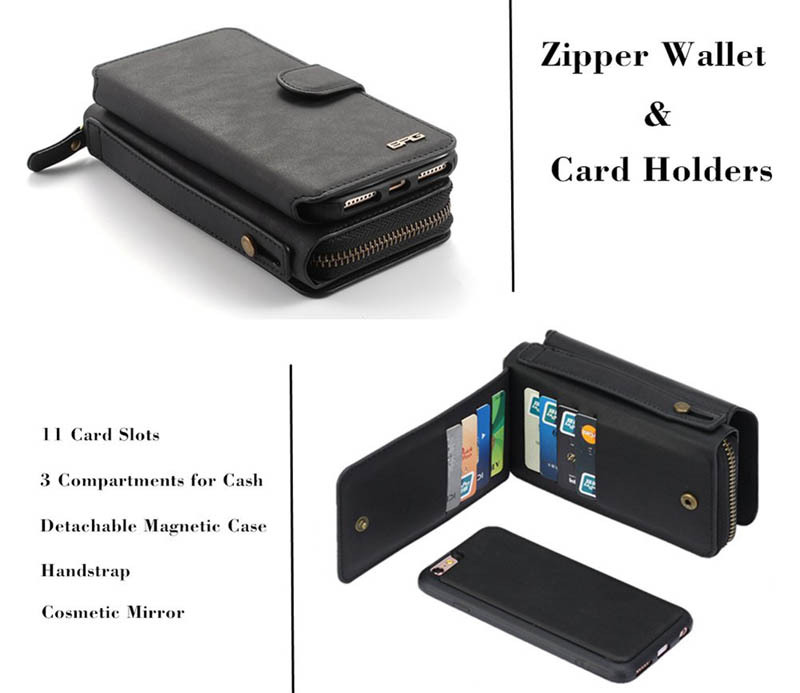 11 card slots, 2 cash pockets, 1 zipper pocket. 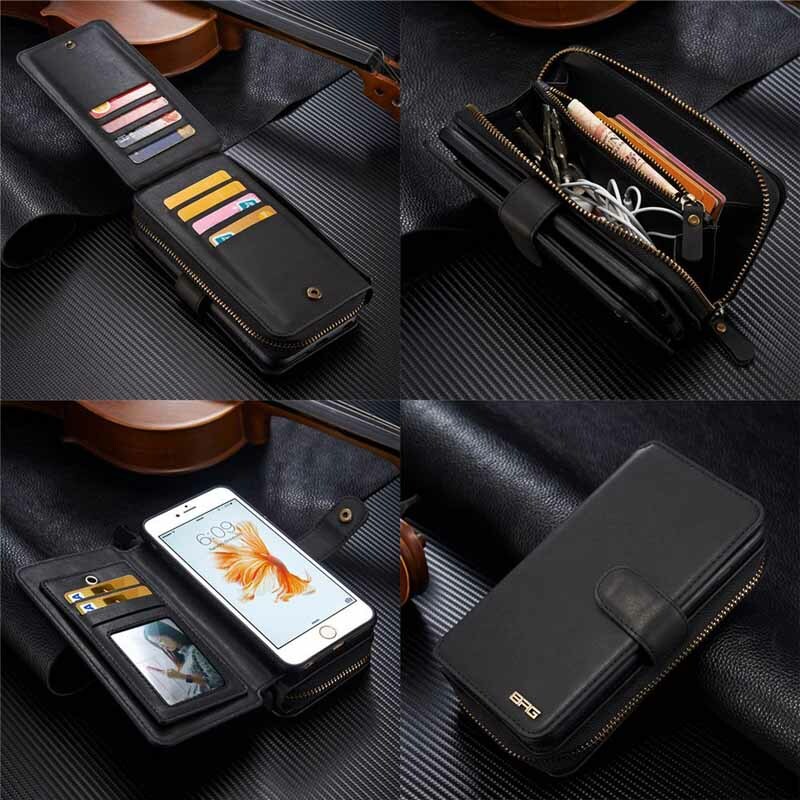 This case fills your needs to carry your ID's and bank cards with your phone, and protect your phone from accidental damage. 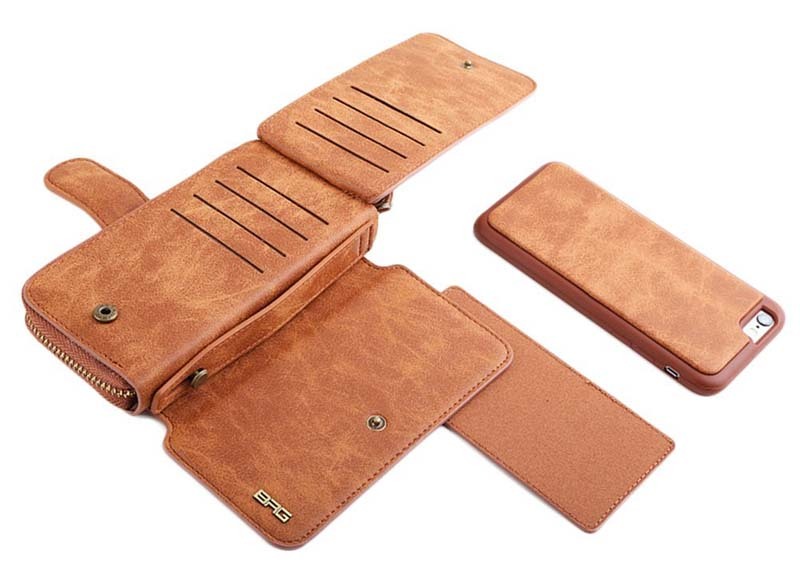 The case feels like a quality leather product. My husband and kids were very impressed. 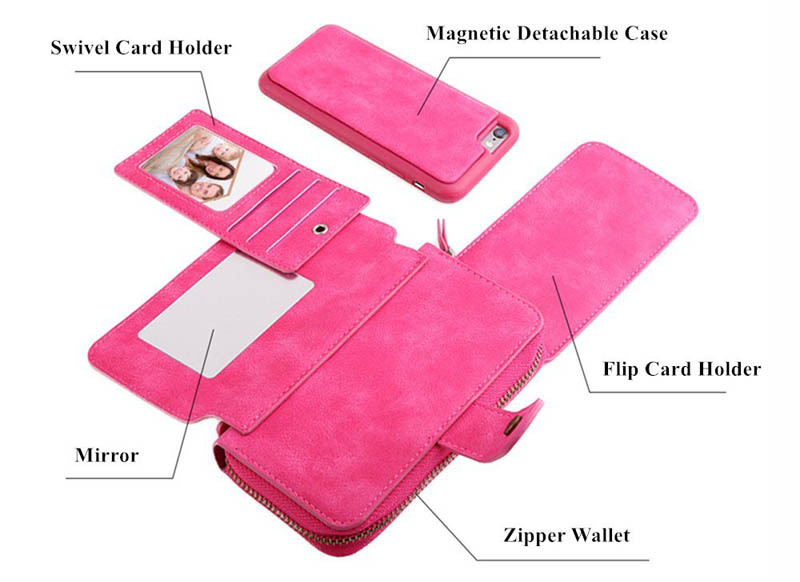 If the case covered all sides of the phone, then this would get more than 5 stars in my book. Then it would be PERFECT! Just got this today. 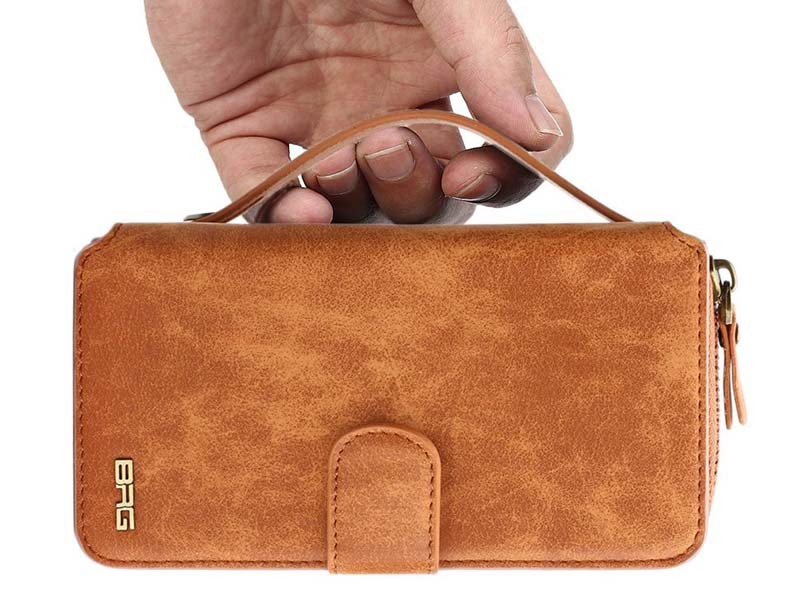 It’s really nice, I fit all of my stuff in it that was in my big wallet. The money compartment was kinda small but made it work so far I’m really happy with it! The magnet case holds my 6s to the wallet part great.